Goodyear Tires & Auto Repair provides residents of Santa Cruz with premier Subaru diagnostics, service and repair. 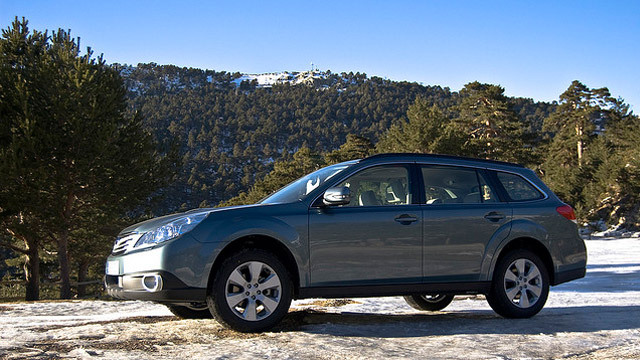 We are Santa Cruz Subaru service and repair specialists. No job is too insignificant or too big for us – whatever ails your Subaru, bring it to Goodyear Tires and Auto Repair and we will take good care of your vehicle. We offer a full range of Subaru diagnostics, services and repairs, including Subaru factory scheduled services. Regularly servicing your Subaru with us satisfies the requirements for keeping manufacturer warranty in force. Whether your vehicle needs factory scheduled maintenance service, oil service, new brake pads, or major repairs, Goodyear Tires & Auto Repair can get the job done right the first time. We provide complete service and repairs for all Subaru models: Impreza, Forester, Legacy, Outback, WRX, BRZ, and Crosstreck. Being a full service Santa Cruz auto repair shop, we offer tire repair, AC recharge, AC repair, fuel pump replacement, clutch repair, serpentine belt replacement, brake repair, check engine light diagnostics, water pump replacement, timing belt replacement, electrical system diagnostics, transmission fluid flush, radiator repair, transmission service and repairs, shocks, struts, oil leak repair (Subarus are prone to oil leaks. ), brake pad replacement, and, of course, a wide variety of tires. To service your Subaru, we combine extensive training, experience, advanced diagnostic tools and mechanics who have achieved the prestigious ASE national certification – we can provide the highest quality Subaru service. We are here Monday through Friday, and scheduling an appointment is easy – you can do so online, or simply give us a call.